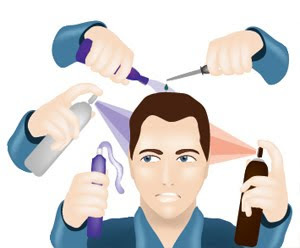 Life is complicated enough, so why make it worse by having to take all the time recommended by many products to treat your hair loss. 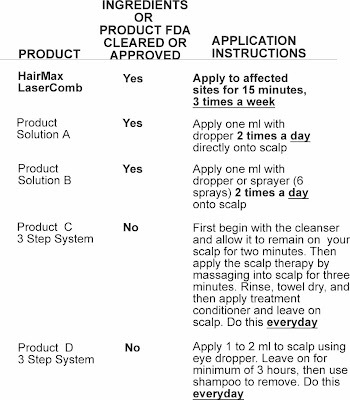 Read in detail in the chart below, the application instructions for many popular products on the markets that claim to regrow your hair. Think of all the time it can take to use them and think about what you could do without all that hassle and still get great results. Well, the HairMax LaserComb® offers the ideal combination of efficacy and ease of use. You can clearly see that the HairMax offers not only effective results, but an easy way to get them vs. some of the other products on the market that may or may not be FDA cleared or approved. So, the best advice is to stop wasting your valuable time on the other products and get the HairMax instead. After all, your time is too valuable to waste!